The sequel that everyone has been hoping for has been announced. The successor to War for Cybertron is coming entitled, Transformers: Fall of Cybertron. More info will be in the upcoming Game Informer Magazine Cover Story as well as the full Press Release below. 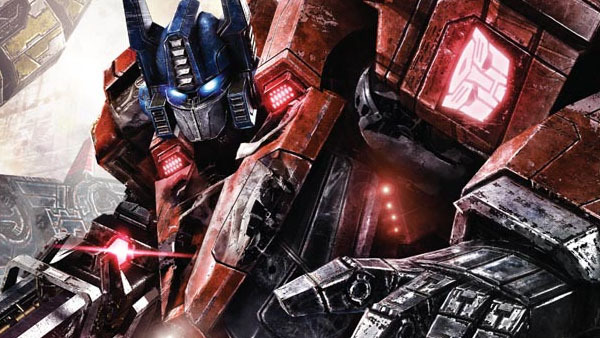 SANTA MONICA, Calif., Oct. 6, 2011 /PRNewswire/ — Gamers will finally experience the epic battles that shaped the history of the AUTOBOTS and DECEPTICONS with the fall 2012 release of Activision Publishing, Inc.’s (Nasdaq: ATVI) TRANSFORMERS: FALL OF CYBERTRON. Currently in development by the acclaimed team at High Moon Studios, TRANSFORMERS: FALL OF CYBERTRON takes fans through the final, darkest hours of the civil war between the AUTOBOTS and DECEPTICONS as they fight for control of their dying planet, ultimately leading to their storied exodus from home. HASBRO and its logo, TRANSFORMERS and all related characters are trademarks of Hasbro and are used with permission. © 2011 Hasbro. All Rights Reserved. Microsoft, Xbox, Xbox 360, Xbox LIVE, and the Xbox logos are trademarks of the Microsoft group of companies. “PlayStation” is a registered trademark of Sony Computer Entertainment Inc. Game © 2011 Activision Publishing, Inc. Activision is a registered trademark of Activision Publishing, Inc. All rights reserved.